Monday is world prevention of bullying day. 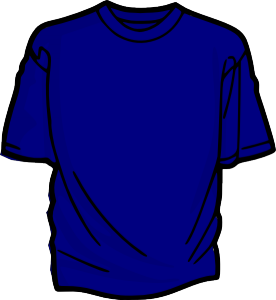 In order to show our support for this cause, we are encouraging all students to wear blue on Monday. Hello! My name is Jessica Logan and I will be observing and assisting in Mrs. Henn’s classroom for the next few months. 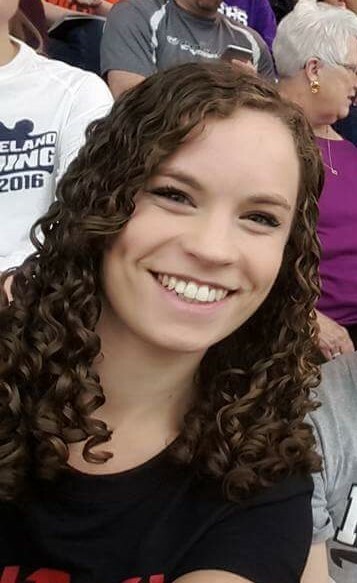 I am an Early Childhood and Special Education major at Millersville University and am currently in my senior year. In preparation for student teaching, I will be observing and working with Mrs. Henn each Friday until Thanksgiving. At that time, I will be in the classroom for three straight weeks up until winter break. This is a great time for me to learn from Mrs. Henn and her students. I’ve already gotten to know some of your children and look forward to continuing to do so! I greatly appreciate your time and am very thankful to Mrs. Henn for allowing me to work with her. This is going to be a fantastic learning experience and will help prepare me for when I have my own classroom! We are so excited to have Ms. Logan joining us for the semester. The kiddos love having an extra adult in the room to get to know! Ms. Logan and I both look forward to the next few weeks full of fun and learning! You may have heard your child talk about GoNoodle. GoNoodle is a website that we use as a reward when the whole class has been making good choices or when we need a brain break. A lot of students have asked if they can use the website at home. I told them that I would pass on the information in case you would want to use it too! 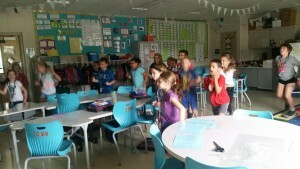 The website is https://www.gonoodle.com/. Once you go to the website, you can sign up for free by entering your e-mail and choosing a password. The students love using GoNoodle to get up and move around to let out some of their energy and have fun. We had a wonderful Grandparents’ Tea. Thank you to everyone who joined us today. The students had such a great time and were so excited to have their grandparent(s) in our classroom! 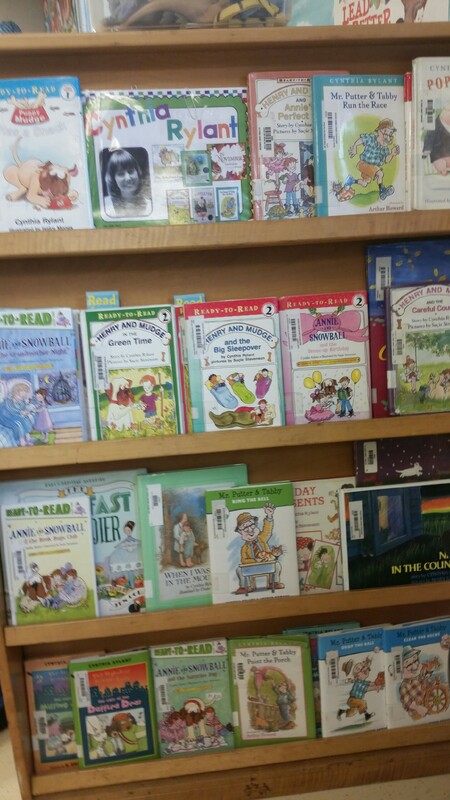 Our author of the month bookcase showcasing Cynthia Rylant. Our author of the month for the month of September is Cynthia Rylant. Cynthia especially enjoys writing about animals. 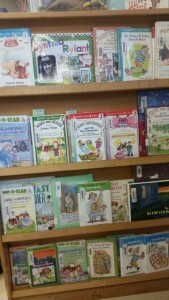 One of her most popular series is Henry and Mudge and the Puppy Mudge series. We will be reading stories she has written during our read aloud time. Just a reminder that we have two exciting events coming up in our classroom! Thursday, September 8th is our Back to School Night from 6:00-7:30. The event will begin in the cafeteria with Mrs. Andersen discussing some important information. After that, families will be invited to visit their teachers. I hope to see you there! Friday, September 9th is our Grandparents’ Tea. Grandparents are invited to tour the classroom, listen to a story, help their grandchild with a craft, and enjoy some light refreshments. This event will be from 9:30-10:30 in the morning. We look forward to celebrating Grandparents and everything they do!